As part of the inaugural staging of Europe’s FastForward conference in Sydney today and yesterday, FastForward, Warner Music Australia, and Songkick initiated the ultimate music x tech Can You Hack It? challenge. During the conference, a team of tech and music minds reviewed the hacks. 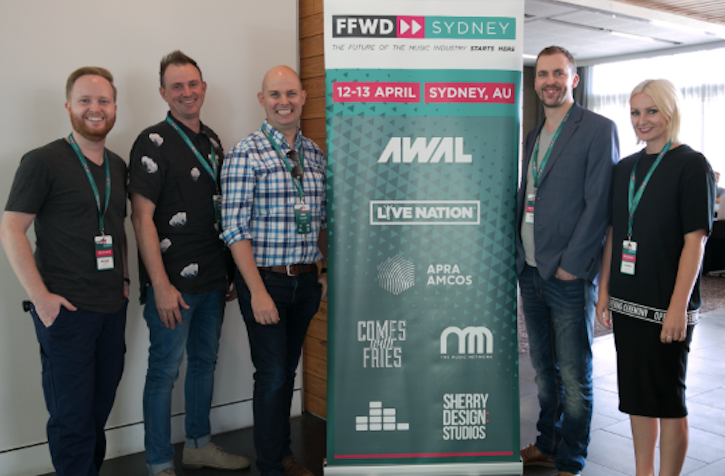 Says Warner Music Australia’s head of digital & business development, Simon Cahill, “We are really excited to see the innovation and creativity that came from all the entrants to the inaugural Can You Hack It? competition. Hydric Media’s Soundcheck hack is devised as he ultimate pre-gig companion. It brings together key partners Songkick and Spotify with ridesharing app, Uber. Making use of Uber’s Trip Experiences’ Soundcheck can determine when the music fan is about to take a Uber trip. The app scans the trip destination for live music offerings using Songkick, and generates the perfect Spotify playlist for the pre-gig trip. “When we first saw the call for creative music tech hacks, we were really excited,” says Hydric Media co-founder Eoin McCarthy. Videos from FastForward: Sydney – including Eoin McCarthy’s presentation – will be made available in May. The Music Network was a media partner for the sold out event.